You'll look like royalty on your big night out in this pretty Bride To Be Tiara With White Marabou Trim. Let everyone know who's marriage you are celebrating and look fabulous doing it! This wonderful tiara has a silver diamante-style frame with pink gems at the centre. The words 'Bride To Be' are written in a bold pink font so there's no mistaking who's special night it is. The tiara is trimmed with white marabou feathers and silver flecks of tinsel. 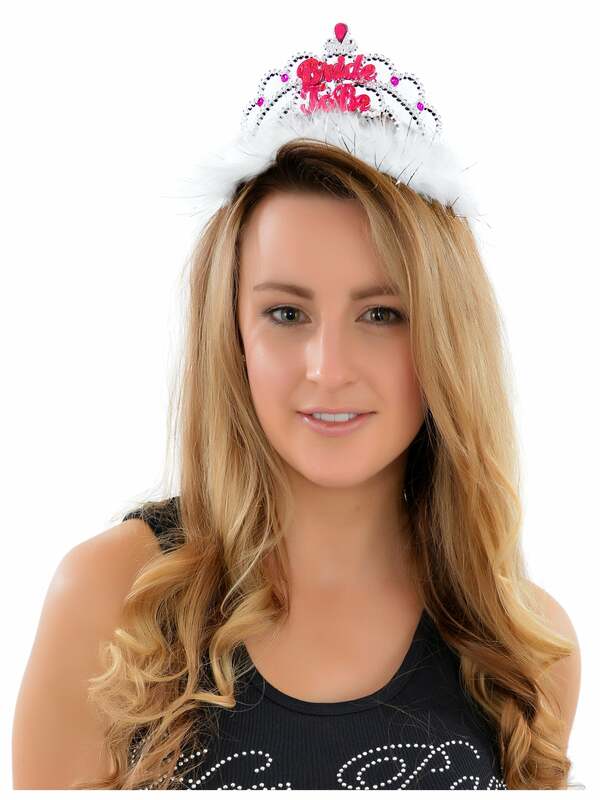 Hen Party Superstore offer a range of delivery options, including Next Day and Saturday delivery so that you can get your perfect accessories even at short notice. The first tiara I received arrived broken, but the company quickly sent me a new one out. Very good service.